Lyme disease is the most common disease spread by ticks in the Northern Hemisphere. The Centers for Disease Control and Prevention estimates that about 329,000 people are found to have Lyme disease in the US each year. Lyme disease is caused by the bacterium Borrelia burgdorferi transmitted by Ixodes scapularis, a deer tick. As many as 50% of infected people don’t develop any visible symptoms and many don’t realize they’ve been exposed to tick bites. When left untreated, infection can spread to joints, the heart, and the nervous system. 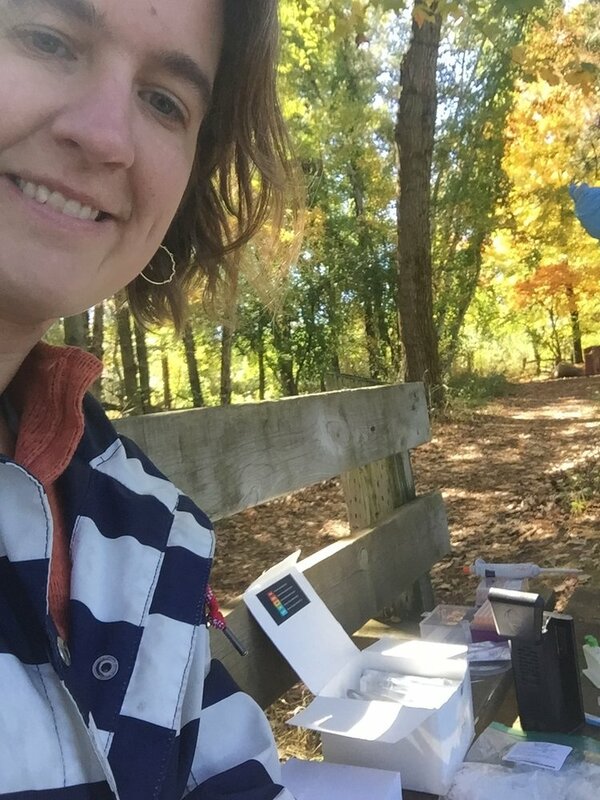 Dr. Amy Prunuske using our sample extraction kits out in the field. Tick bites causing Lyme can also bring several co-infections along, worsening symptoms and complicating treatment. When a deer tick bites, it transfers its saliva into its human host, so other pathogens beyond Borrelia burgdorferi may also be infecting Lyme patients. 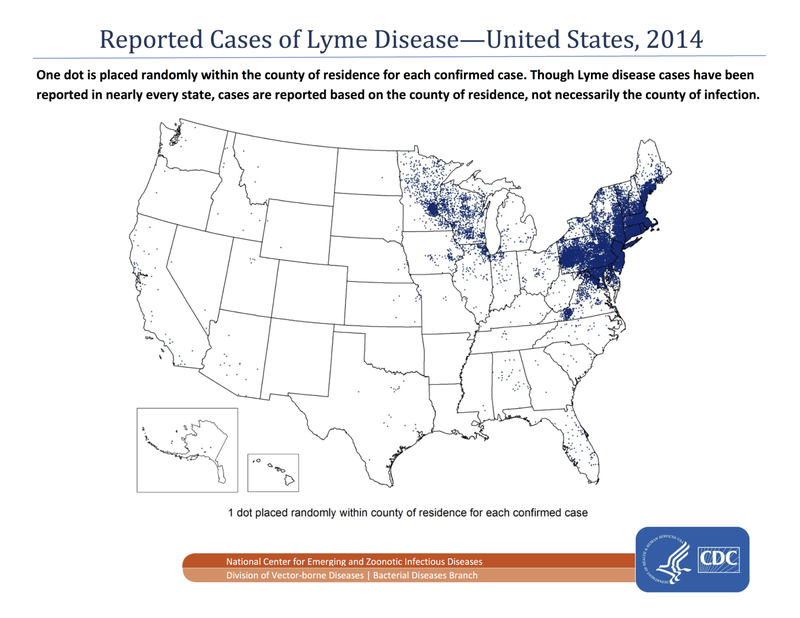 Biomeme’s mobile DNA detection technology has the power to bring tick identification and pathogen detection into the field to better forecast Lyme’s incidence across the US. Dr. Amy Prunuske, an Associate Professor of Microbiology and Molecular Genetics at the Medical College of Wisconsin-Central Wisconsin, is using Biomeme’s rapid DNA detection platform to accurately identify deer ticks infected with Borrelia and other co-infecting agents. 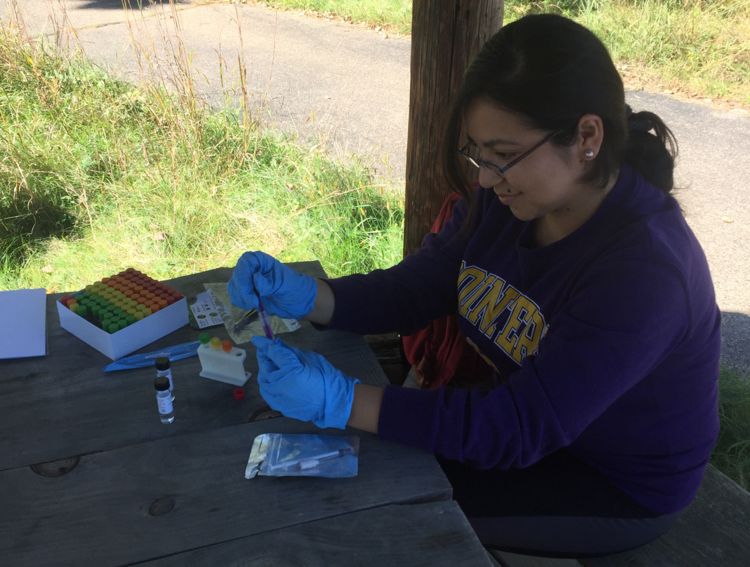 She is sampling ticks in Minnesota and using our technology to test for Lyme in her tick collection. She’s working closely with high school and college students to bring science out of the lab and into the field. In under an hour, she is able to isolate tick DNA, run a real-time PCR test, and identify ticks infected with the Borrelia bacterium. Amy’s research work is also able to differentiate types of deer ticks and other tick-borne infections, such as tick-borne fever and Babesia. By providing rapid and accurate identification of Ixodes scapularis ticks carrying Borrelia burgdorferi, Anaplasma phagocytophilum, and Babesia microtii, Amy hopes to create a real-time view of vector and disease distribution. 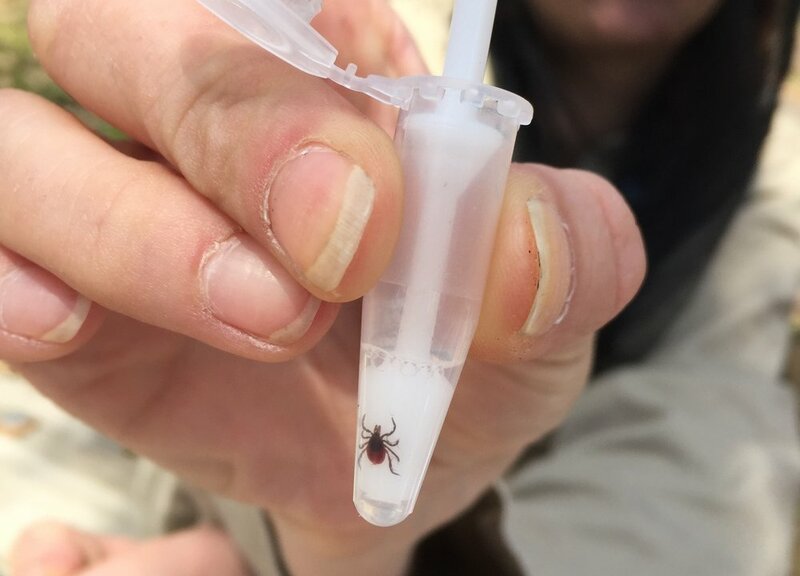 The next phase of Amy’s research will include validation of a new test to differentiate between the three most common tick species: Ixodes scapularis, Dermacentor variabilis, and Amblyomma americanum. The geo-tagged results can then be wirelessly uploaded to Biomeme’s web portal and mapped in real-time to facilitate data sharing. 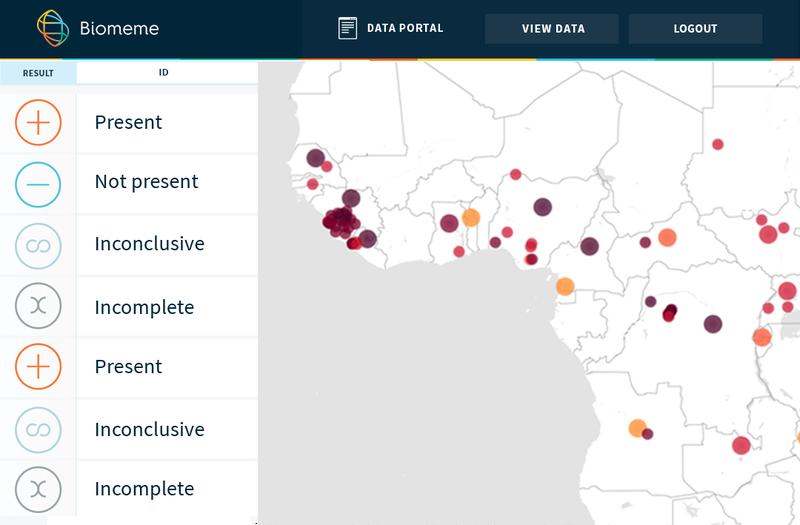 Example of Biomeme’s web portal that has the power to map prevalence in real-time. Dr. Amy Prunuske’s featured use case of Biomeme’s technology is one of many partnerships made possible through our Developer Program. This community allows researchers and enterprise partners to test our technologies for a wide range of research interests. Learn more and apply to our Developer Program here.